In an omnichannel world, rather of thinking of the customer experience in terms of the channel on which a person interacted with a brand or company, we tend to take a more global view. What does that mean for marketing practices? How is merchandising done in-store versus online? What are the similarities and differences between channels? Are the challenges the same? First off, what is merchandising? As with every marketing term, the vision of merchandising varies from one specialist to another. To keep this article from expanding to textbook length, I’m going to focus on comparing five merchandising concepts from both an online and offline perspective: flyers, discounts, recommendation/personalization opportunities and out-of-stock products. To this day, flyers are still heavily used both by businesses and shoppers. In 2015, 91% of Canadians claimed to read grocery store flyers at least once a month, according to a Brandspark study. The trend held for pharmacies and consumer goods retailers as well. According to the same study, 74% of those surveyed preferred paper formats. That said, whether they were brick and mortar, click and mortar or web only, the players involved enhanced their online flyers by adding functionality specific to digital media: geo-localization to display regional pricing, video-enhanced content, reviews, links to product pages, etc. According to the Financial Post, Canadian Tire doubled its online sales in 2016 after sending paper catalogues that drove users to its mobile app to get additional information. Printing different flyers for different regions to adapt pricing and eventually products according to the particularities of each area. Multi-regional distribution of these same flyers (pan-Canadian, Canada/USA, etc.). Ensuring that there are sufficient products available in-store to meet the demand generated by the promotion. Ensuring that geo-location is correctly set up to display pricing and specific product information if the flyer varies from one region to another. Offer a format or functionality that allows the flyer to both be understood by users who are accustomed to paper and provide additional content. 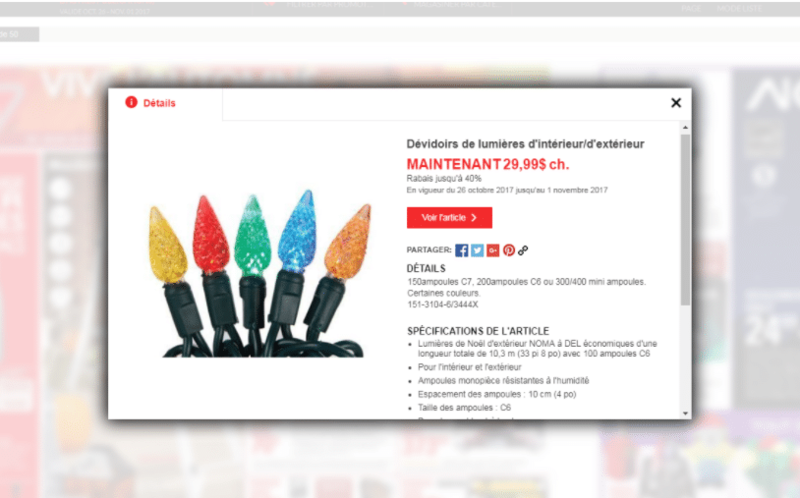 In the example of Canadian Tire, the flyer reads like a paper flyer with pages that turn, but you can click on the products to learn more. The technology used is Flipp. Lastly, to what extent can the flyer be personalized? Thanks to data collection through navigation, purchase history, and loyalty programs, digital presents the opportunity to deliver users an increasingly personalized flyer experience. I’m going to focus on two things that influence retailers’ prices and margins: coupons and agreements with suppliers. Making sure stores recognize the coupon. 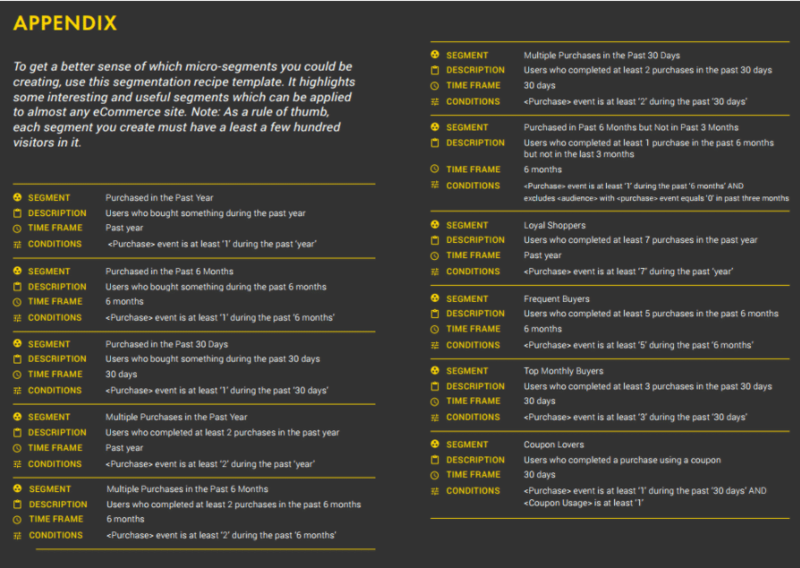 Determining whether it can be used only once or just on a certain date. How do you communicate this coupon to customers? In an email, in the store, in a flyer? How will this slow down conversion? For example, on a checkout page, when a user sees a coupon field they will often interrupt their transaction to hunt for a coupon online. Traditionally, distributors negotiate agreements with suppliers for several elements: product promotions, discounts (back margins), exclusives, etc. These elements are present in both online and offline distribution. For example: product promotions. In stores, this might mean in-store promotions, end displays, discount periods, co-funded ads on various channels (newspapers, TV, etc.). And online, this might mean that specific products are highlighted in the store (on the homepage, category page, banners…), a discount period, co-funded ads including product listing ads or co-written content. That said, this article wouldn’t be complete if I didn’t bring up the phenomenon of pantry loading: the purchasing curve we observe before, during and after a promotion. Essentially, after a promotion you’ll often see a slower period with fewer sales. Loyal customers who made purchases during the promotion were able to buy more than usual and won’t need to stock back up right away. And occasional buyers who were drawn in by the promotion won’t necessarily buy again right away either. Whether the promotion is happening online or in-store, this phenomenon exists and it needs to be factored in before analyzing the success of the promotion. Did the promotion ultimately encourage customers to regularly buy this product? 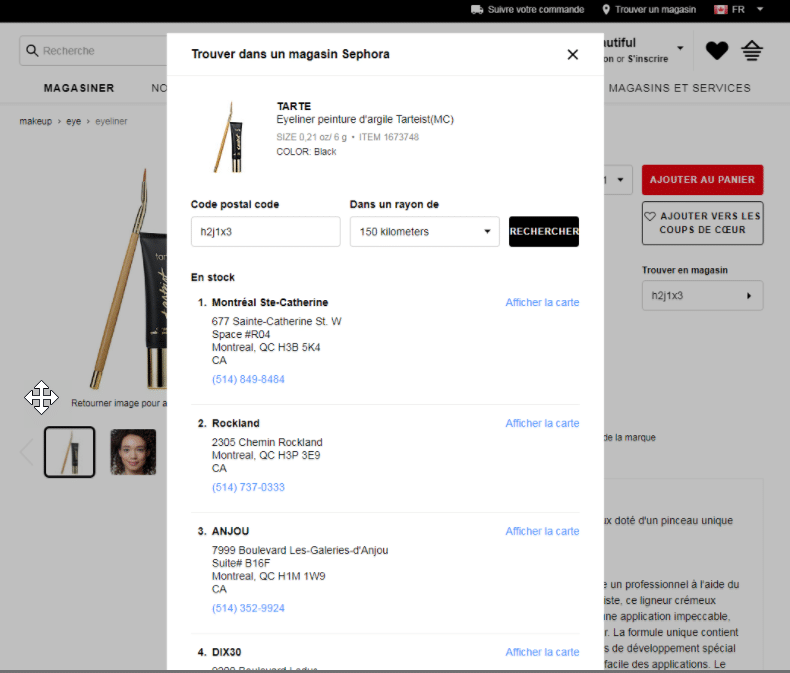 Offline, recommendations can be based on an analysis of sales conducted mainly thanks to data collected by loyalty cards. Using this information, distributors can use strategies like positioning products side-by-side on the shelf, offering promotions on a product identified as complementary or getting their sales force to suggest complementary products to the shopper. Offline personalization is still limited: discounts offered exclusively to loyalty program members or to a certain customer profile (students, seniors, etc.). It’s also feasible in industries where the relationship between the sales team and the customer is strong: B2B, luxury, etc. If sales consultants know their loyal customers well, they can recommend products that might be appreciated. Although recommendations and personalization of the purchase experience is less personal online, they can go a lot further by using micro-segments and modifying the way products are displayed on the page based on these segments. Promotional and relationship-building emails can equally be personalized. One-to-one can be more precise online. It’s raining in Montreal but sunny in Quebec City. An outdoor equipment store might choose to personalize the homepage new visitors see (people for whom they have no navigation information or purchase history) based on the weather. This type of personalization is also doable in-store, but would require a lot more logistics and moving materials around, especially since the weather changes all the time. And what about upsell recommendations? In stores, display stands are used to promote featured products: end displays, temporary display stands, sales promotions, etc. And when you get to the cash, retailers have little impulse buys on display, reasonably priced and easy to add to your purchase before you pay. The same mechanism exists online as well, with suggested products. Here, the rules are the same online and off: stick with inexpensive, low-commitment products. With online retail, you can also suggest products at price points that would allow the shopper to reach the minimum order amount, and adapt product suggestions based on user preferences and purchase history. When a product is out of stock in-store, it starts with empty shelf space, which is then filled with neighbouring products or a substitute from the distributor. Brands generally deal with department managers to work out restocking. Finally, if a product is discontinued, brands usually have a replacement product in mind. That said, while the mechanics of this are certainly simplified by modern logistics, it doesn’t happen instantly: you still have to wait for shelves to be restocked. In some industries, like fashion, for example, you might also be able to see what stock is available in other stores, allowing you to send customers to those stores or order the merchandise to your store. You always run the risk of losing the customer, though. In stores, studies estimate that about 8% of products are permanently out of stock. The cost of this can be major. Not only do you lose the sale (and often the buyer will end up going with a competitor’s product) but you may also hurt your brand image (for example, if you’re running a promotion but there’s no more inventory). If the inventory wasn’t updated before the product was added to the cart and purchased, the user will need to be contacted by customer service to be informed, refunded, offered an exchange or asked if they want to wait for new stock to arrive. You can pull the product off the site entirely, but in this case anyone who has linked to the product will land on a 404 page (and what about the people who saved it on their registry site, or in their history so they could repurchase?). The end result is similar to the experience of staring at an empty shelf. You can keep the product page up, but indicate that it’s no longer available. If the product has a chance of being restocked, some sites will send you an email when the product is available again, or suggest similar products. Finally, online, major players who have stores and warehouses like Sephora, Aldo and Best Buy let you see what stock is available in all their stores, so that if one store is out, the shopper can choose to go somewhere else, or place an order for delivery. The challenge for e-retailers is to synchronize inventory and deliveries from multiple warehouses/stores, which is very similar to the challenges of brick and mortar stores that need to synchronize their inventory between different store locations as well as with suppliers, to ensure they are able to restock. We talk a lot about omnichannel in terms of the user experience, but it clearly applies to marketing and merchandizing practices too. The forces at work are the same, and distributors then have the option of optimizing each channel in a way that’s consistent with their omnichannel strategy, taking into account the particularities related to the interface. Online, personalization can be more granular; a strength that can round out the experience across all channels.